The Minutemen and the Civil Homeland Defense plan to erect a building in Henry's name near the border in his memory. An Angel brought to the area by the Angel Lady of Ground Zero, Lei Owen, has been dedicated in his memory. This is a replica of the Angel that stood next to the cross at Ground Zero. Others have been dedicated to Flight 93, the Pentagon, and Pat Tillman, who gave his life for his country. 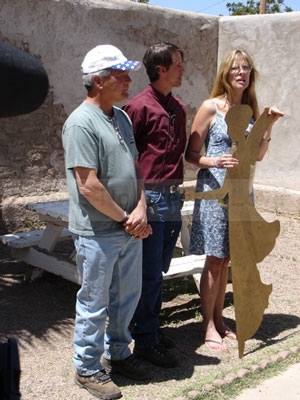 Lei Owen presents the a smaller version of the Angel from Ground Zero to the Minutemen Leaders, Jim Gilchrist and Chris Simcox in Tombstone, Arizona after the memorial service for patriarch Henry Wyatt Harvey, Jr.